Following two days of students going to the polls to determine their next student leadership, the Electoral Commission has officially announced the winners of the elections. 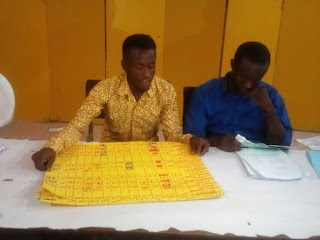 Declaring the results at about 05:20am on Saturday, February 18, the Show Baba-led commission announced a year 4 medical student, Oyekan Ibukun Edward a.k.a Dr IBK as the president-elect of the Union and a year 4 law student, Jacob Oluwatosin Grace a.k.a Emerald as the Vice President-elect. 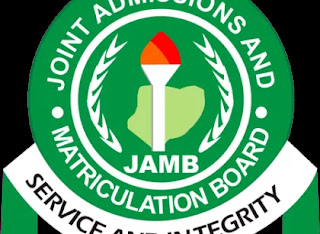 The Joint Admission and Matriculation Board (JAMB) have announced that the 2017 Unified Tertiary Matriculation Examination (UTME) will hold in May 2017. According to him, actual dates will be announced soon. He also advised candidates to beware of false dates and fraudsters. Meanwhile, JAMB registrar, Prof. Ishaq Oloyede has explained why an unusual delay has preceded the sales of application forms. Following the postponement of her elections due to some alleged delay in the arrival of electoral materials, the ongoing Students' Union for the Faculty of Arts has been moved till today, Friday 17th February 2017. This however has caused aspirants to start making last minute moves, especially aspirants whose total number of votes as at yesterday remain close to opponents. However, some other candidates already lead in their offices with a good number of votes; Lamba, Emerald and some others being examples. There are also claims that the Chairman of the Electoral Commission Mr Fadele Olusola cancelled the elections of the Faculty of Technology. However efforts to reach him till now have proven abortive. The Faculty of Pharmacy of the Obafemi Awolowo University once again achieved a great feat as she alongside Ahmadu Bello University, Zaria and the University of Port-Harcourt hosted the first ever Global Health Pharmacy Course In West Africa. The programme which was held between Saturday, 11th Sunday, 12th February 2017 was held at the New Pharmacy Building, Faculty of Pharmacy, Obafemi Awolowo University Ile-ife. In all, the programme featured about 18 Sessions, most of which were facilitated by the Course Coordinator, Professor Don Eliseo Prisno, a global health practitioner from China. Some of the other facilitators of the programme include Professor Fatusi; the Provost of the College of Health Sciences at the Obafemi Awolowo University, Pharmacist ‘Bisi Adenipekun; President, Lighthouse Global Health Initiative, Pharmacist Aniekan Ekpeyong amongst others. The founder of the organizing body; AB Global Health initiative, Dr Maidas Ayomide, was also present at the event. It's Val's day! I am sure some people are excited while some others are just indifferent, most especially because it's a school day and they'll be busy. But who says you can't chill with your loved ones just to relax after a long day and when I mean loved ones, I mean your friends, guys ,baes and boos and even your crushes. Some people may think its just too overrated, it's just like every other day. Nevertheless, a day isn't too much to show some people extra love. You may have been thinking Ife is too dry and there is nowhere to hangout. You are wrong cupcakes, there are places but you just don't know it. We have compiled a list of few hotspots for valentine for you and your loved ones. New bukateria: this is on our very own campus, OAU. It is close to ETF hostel and before new market. There are cool varieties, the choice is yours. Find below the full list of winners at the Hall Executive Council Elections conducted on Saturday, 12th February 2017. STUDENTS' UNION, OBAFEMI AWOLOWO UNIVERSITY, ILE-IFE, OSUN STATE.